Several black marks for Romania appear in Amnesty International’s Annual Report, published today (May 23). Discrimination against the Roma community and the failure to hold a full and open inquiry into the detention and torture of prisoners in the country under the CIA’s rendition program are among Amnesty’s complaints. The Amnesty report also reminds of allegations last year of excessive use of force by Romanian police in anti-austerity protests and questions a parliamentary proposal from September 2012 to introduce mandatory counselling for pregnant women, which could impact women’s freedom to choose abortion, according to Amnesty International. “Roma children were still being placed in schools for children with disabilities, in separate schools or in separate classrooms,” according to Amnesty International, quoting an investigation by the Advisory Committee on the Framework Convention for the Protection of National Minorities of the Council of Europe. 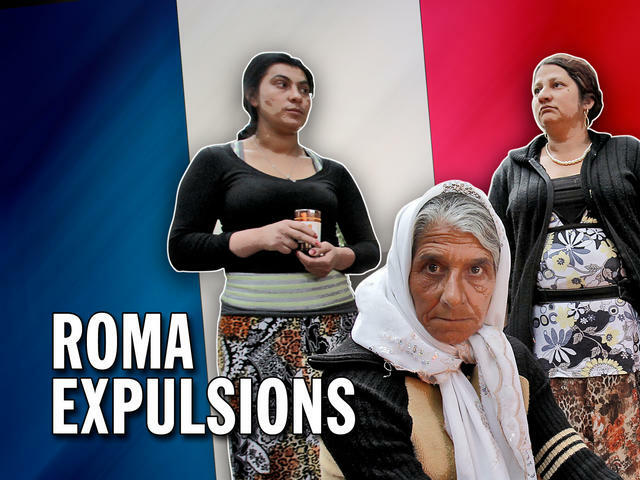 The segregation of Roma children and the effective denial of access to education are given as significant contributing factors to the lower levels of education found among the Roma community compared with the average among the general Romanian population. Romania appeared to be one of the worst offenders, with claims that not only was the country used as a staging post by the CIA when moving prisoners around the world en route to Guantanamo Bay, but also as the site of a secret prison in which inmates were detained illegally and subjected to “enhanced interrogation” techniques, generally considered as torture. The European Court of Human Rights also communicated the case of al-Nashiri vs. Romania to the Romanian authorities. It is claimed that the Saudi national was detained and tortured in Romania. Finally, the proposal for mandatory counseling for pregnant women, put forward in the Romanian parliament last year, could result in additional costs and longer waiting periods for women who want an abortion, according to Amnesty International.